Main Religions: Catholicism, Islam, Protestantism, Hinduism, Judaism. Of course, there’s the obvious: Paris isn’t called the City of Love for nothing. However there’s more to France than its ethereal capital. From the fabled Chateaux of the Loire to the epicurean delights of Burgundy and the picture-perfect villages of Provence, you really are spoilt for choice! 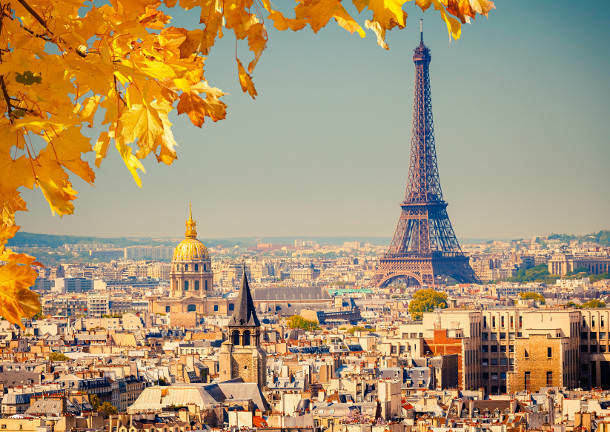 As the second largest country in Europe, the weather in France can vary greatly depending on the location. As a general rule, spring (March 21st-June 20th) and autumn (September 21st-December 20th) are often considered the best times to visit, with warm temperatures and fewer tourists. Summer (June 21st-September 20th) is hot, and most of the country shuts down for August holidays, not ideal for wedding planning! Don’t rule out a winter wedding (December 21st-March 20th) either: whilst the colder weather arrives early in the north, the south is often blessed with mild and sunny days. Love, passion and romance are part of the fabric of French culture so there’s really a no more fitting destination to say ‘oui'’! After all; a long, lingering embrace is not called a British or American kiss, is it? This is a nation who considers compulsory a kiss (or three) on the cheek in greeting and who encourages public demonstrations of affection. There’s no more romantic a scene than two lovers strolling arm in arm along the river Seine in Paris. Boasting arguably the world’s finest cuisine, you could easily proclaim that the word gastronomy was created to describe the French menu. From the obscure (snails) to the rich (the cheese) and the indulgent (Foie Gras) the French menu oozes a guilty decadence fitting for any wedding celebration. Let's not overlook their proud viticulture tradition, either. The French are masters of crafting fine wines which provide the perfect balance to the local fare. In fact, some of the best dining experiences are to be found in the smallest villages. Just remember that the service charge is included in the bill. Whilst not obligatory, a tip is always a welcome gesture. The only currency accepted in France is the Euro. All major credit cards are welcomed and cash machines are standard in all but the most isolated areas of the country. 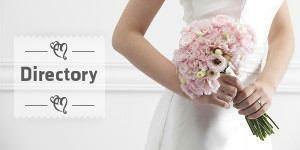 You can be sure of settling your wedding expenses with ease and efficiency. Overall, a destination wedding in France is more affordable than you would imagine and France fares well when compared to other European countries. It helps that Paris is served by most short and long haul carriers and there are excellent transport links to and from the regional centres. As a guide, the average destination wedding costs between € 8000 to € 15000. Of course, the final costs depend on how grand or intimate an event you’re planning. The following notes are not comprehensive and are intended as a guide only. Before planning your wedding in France we strongly advise you to contact the French embassy in your home country or your country's embassy in France to obtain up-to-date legal requirements. France firmly separates church and state, which means that only a civil ceremony held at a mairie, or town hall, is recognised. For this you must reside in France for 40 days before the ceremony. A simple solution for many couples is to hold an official ceremony at home and a symbolic celebration in France. Should you choose to explore the possibility of a civil ceremony, your first contact should be your local mairie for a ‘Dossier de Mariage’, a file which outlines the required documents (and official translations, if not in French). The list of documents is constantly evolving; therefore they are best placed to provide you with up-to-date information. It’s important to note that the mairie where you marry is dictated by your home address. Or visit the website for the French Embassy in your own country for further information about the legal requirements for marrying in France. Mainland France (including Corsica) is divided into 21 administrative regions, each waiting to be discovered and with their own unique charms to be appreciated. No matter how you envisage your big day, a location for every taste and budget can be found in France! Find out more about the Regions of France or browse our French Wedding Directory to start planning your dream wedding.